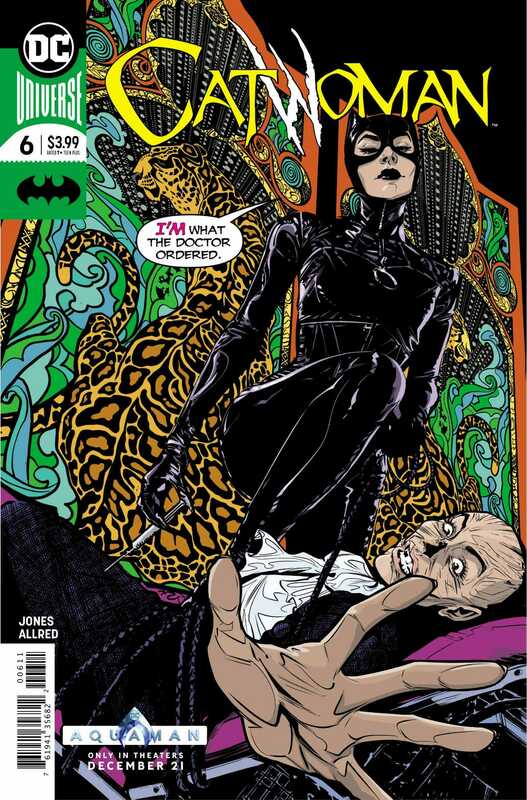 This ongoing series started with Selina’s departure from Gotham City and the Dark Knight. She left Batman out of love, so we found her sad and alone, at the beginning of this series. The ongoing story then led her to deal with the a corrupt politician, and her effects on the people. This issue in particular contains many unique choices in form and style. Jones keeps this up with strong choices of characters and how they interact. Some series end with a strong dramatic moment, and a great deal of action. This one does too, but in a much more nuanced fashion. The action sequences in this issue are the most dynamic I’ve seen in a very long time. Most of the book is made up of double page spreads. 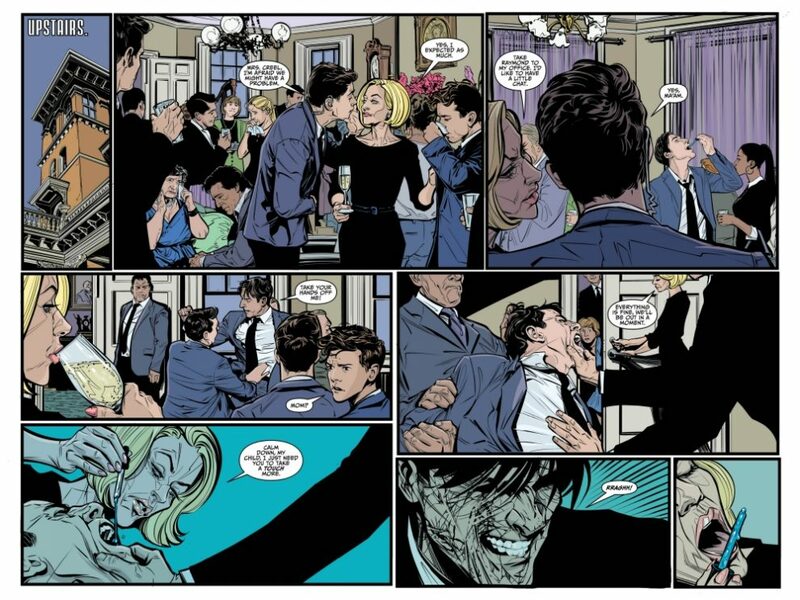 Jones’ artwork reads in bars across both pages, ignoring any sense of a spine, until the end of the issue. 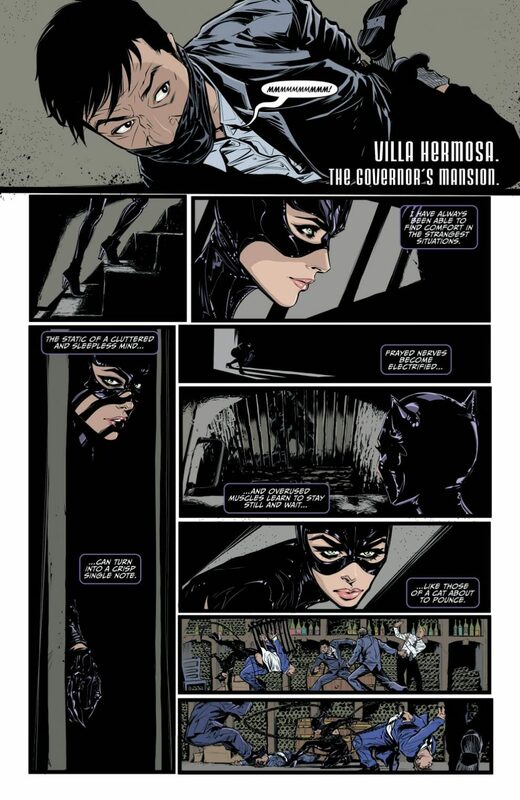 As Catwoman escapes the bowels of Ms Creel’s manor to confront her, bringing the pace right up. The final confrontation is one of the most unique I’ve ever seen between hero and villain in any story. 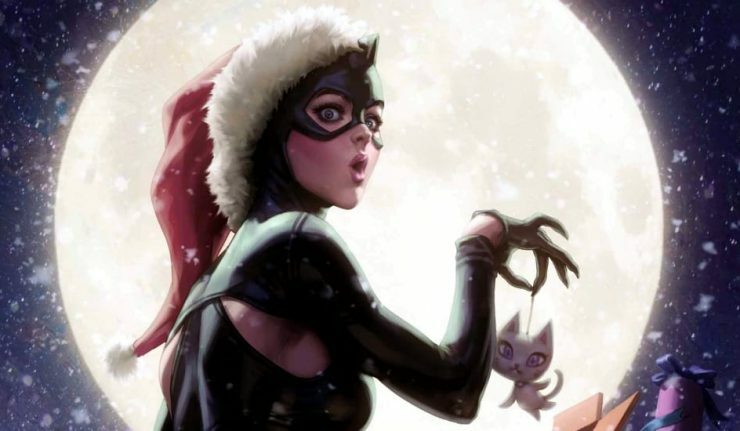 The Copycats arc featured the perfect counterpoint to Catwoman; a woman totally unlike her. 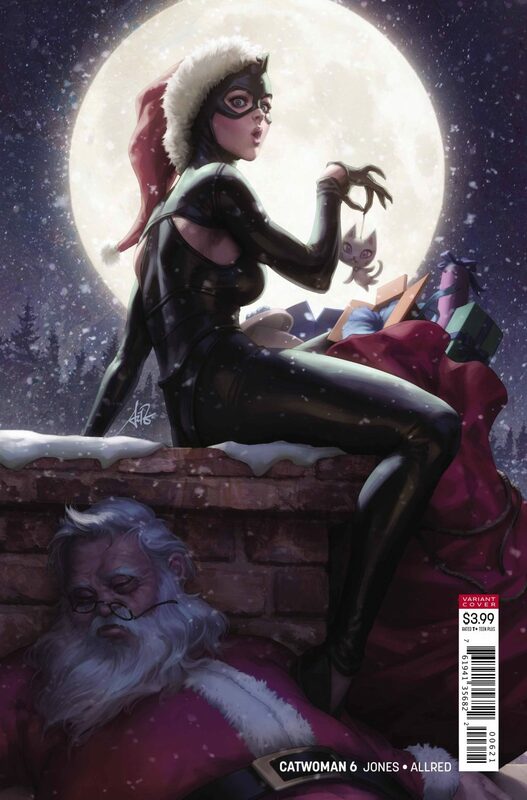 I talked a lot about the differences between Selina and Raina Creel in my review for Issue 5. In essence, Ms Creel doesn’t possess any of Selina’s physical prowess, but her malice, cunning and manipulation are in full show in their meetings through the story. The ending is satisfying. At the very least we feel that Selina has truly grown. 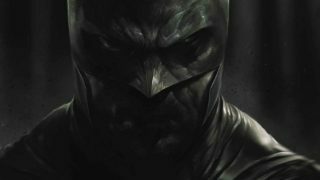 The threats from within the storyline have been resolved enough not to bug us, but left open enough to potentially cause Selina trouble later. 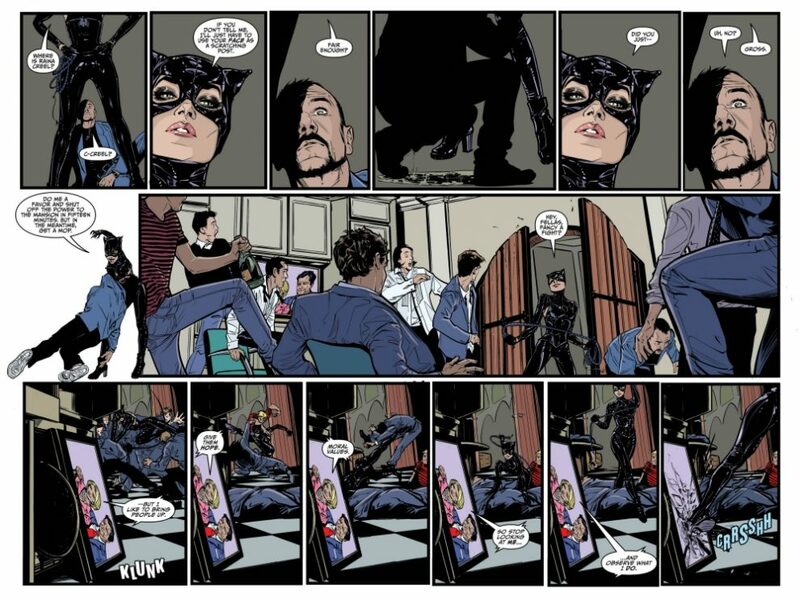 Just as when the series started, Catwoman is a free spirit once again, and anything could happen in the capable creative hands of Jones and Allred.